What I like most is the power of the bass drum, both snapping and round, it is one of the nicest bass drums to play I have ever try . Yes, on stage when we share the same drum set with other groups and No, I never had in my possession a Premier APK (very good quality / price ratio except for the accessories that come with little reliable, and then finishes it will rodhoïde five minutes, long live the varnished wood!). But it is word of mouth that eventually motivated my purchase. A great price / quality ratio, I think that TAMA is the only brand to offer a material of this quality in this price range (for example from Yamaha Oak Custom, really disappointing for my taste). 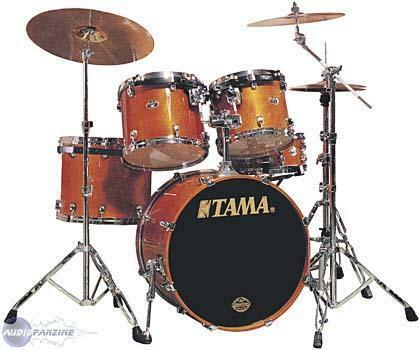 I use this drumkit format color green wood 22, 12, 13, 16, CC 5.5 since 1997, with the addition in 2006 of a 8x8 tom tom and a 18x16 (version B / B since the standard model is no longer). I have never regretted that choice. Birch has the attack and the power I'm looking for a grunge metal limits, but it is very easy to tune to bring out the harmonics hot (I use Remo Pinstripe skins). The sound may seem aggressive in places with poor acoustics, but in recording and in well with sound, we can find her a pro. What I like most: the power associated with the heat of the birch, the look and the attention to finishes (rubber washers, shells thin, molded circles), the easy adjustment for different musical styles. What I like least: hard to find. At the time the accessories were low-end and the feet of Charles begins to have the game if, even a negative point: the drumkit is too powerful to play in bars should always be limited. Previously I had the opportunity to try the first signs and Genista, the Pearl Export Select, and a Yamaha Stage Custom. Apart from the first sign that I found similar but more jazzy, all were below. The price / quality ratio is excellent. 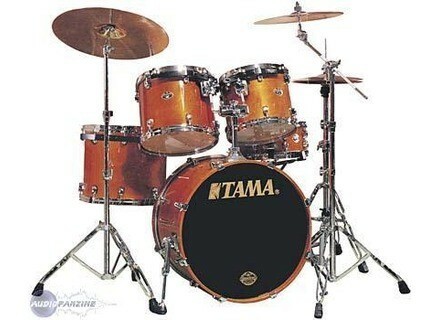 At the time I paid the whole 18,000 francs (with UFIP ClassSeries) and no model proposed sound as pro as this drumkit. Experience with this choice I would do without hesitation. But with more money, I think today I am tempted by a Starclassic Bubinga. I just wanted to share my joy! I reu yesterday my Starclassic, GC Toms 22 10 12 14 16 (without CC). She is beautiful (Dark Cherry Fade). The sound of the bass drum is standard, really powerful. The birch wood is really the way I like. I use it for one month now bought from thomann without any problem. She has a great projection so that the snare really shows the lot and sounds of hell! the sound is good trs fts otherwise have a good offense making it a powerful drumkit. compared to my old deep is the day and night incomparable sound! this drumkit is one of the cheapest in the high-end and report qualitprix is ​​unbeatable, equivalent to a Pearl will take over 400 euros! Tama is really hard on the price and more especially on the finishes on offer, I have too many cracks on the finish Aztec harbor fade! it's too good, it's flash provides a small cot ca hardrock anne 80 (yellow and red drum ^ ^), the hardware is solid trs no worries about that. only small BMOL snare seen its projection emits a lot of harmonic and it is not so easy to give. but the snare is the essential elements of the performer so it sounds too good! I hsit a moment with the Starclassic mapple but frankly to make a good rock that is the power gnial roundness and projection and finish! it sheds little!